Description Donkey Kong just kidnaps the Lady again. Help Mario to resuce the Lady. This time the level is harder. 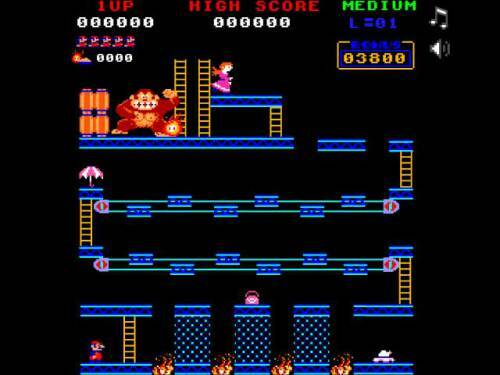 A Flash version 2 of the classic Donkey Kong. Nice retro style in this #fan #game, play button on start screen looks like hidden object.